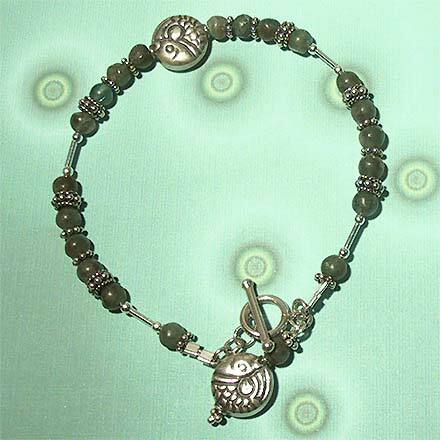 Sterling Silver Apatite Necklace. See Closeup. 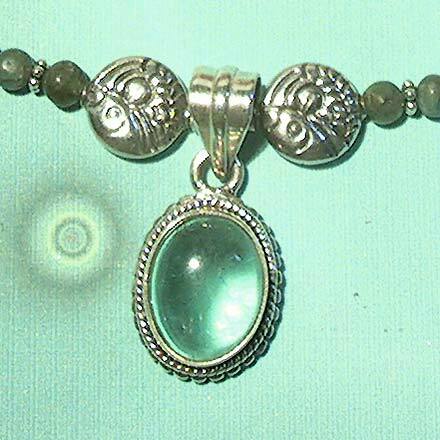 This particular Apatite cabachon set in the 1¼" pendant has that blue green color of aquarium glass. 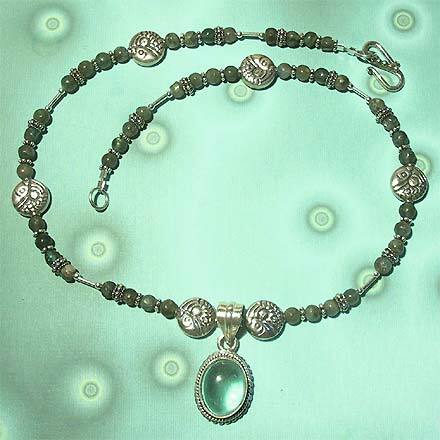 The Apatite beads that decorate the 16¼" necklace are a bit darker and more opaque. In keeping with the aquarium theme, I've used Bali Koi-design beads. The matching bracelet is 7¼"